Microsoft has just made the Windows 10 Editions official starting from today. Although we all knew that Microsoft will soon be releasing a number of editions for Windows 10 but it was all based on predictions until Microsoft itself break the ice and making it official. It seems like Microsoft will be releasing a total of 7 editions of Windows 10 catered to meet demands of different devices as well as needs. 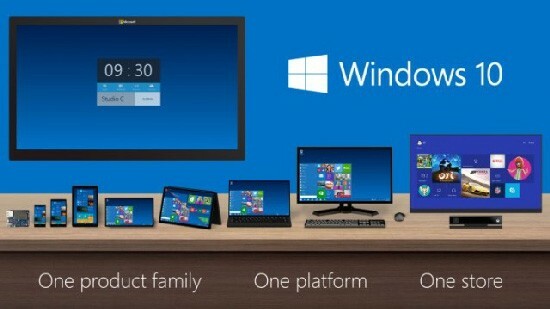 Windows 10 Home, Windows 10 Pro, Windows 10 Enterprise, Windows 10 Education, Windows 10 loT Core, Windows 10 Mobile etc are some of the titles..
We can expect the same price for these Windows 10 editions that we have seen for previous editions of Windows 7 as well as Windows 8.1 operating systems. Available in over 100 languages, Windows 10 editions will be available for purchase starting this summer.